More than 300,000 California children between the ages 4 and 11 need mental health care, but only one in four is treated, according to a new policy brief from the UCLA Center for Health Policy Research — this, despite the Centers for Disease Control and Prevention recommending early-childhood intervention as a critical step in reducing the severity of mental health problems in adulthood. While about 8.5 percent of all California children in the 4-to-11 age group are identified as having mental health care issues — including conduct problems, emotional symptoms, hyperactivity and problems with peers — parents reported that 70.8 percent of these children went without emotional or psychological counseling over the previous year, according to the study, which used California Health Interview Survey (CHIS) data from 2007–09. Being in poor health or asthmatic — and thus unable to participate in physical activities with other children — significantly increased the likelihood of a child having mental health problems, as did having a parent with mental health issues or a physical disability and living in a single-parent household or in poverty, according to the study. Poor health had the strongest correlation to mental health needs: One in five children in poor health, or 22.4 percent, had mental health issues, compared with 6.9 percent of children in excellent or good health. Children who had a parent with mental health issues had three times the likelihood of having similar needs — 20.5 percent, compared with 7.7 percent of children who did not have a parent with mental health needs. In addition, boys had a higher prevalence of mental health needs than girls — 11 percent vs. 6 percent — the study found. Ninety-five percent of children in need of mental health care had health insurance and saw a doctor regularly, but they did not receive mental health care, suggesting their parents may face many barriers to procuring such treatment, according to the study. A previous study indicated that a shortage of mental health professionals was one barrier to treatment, and the complexities involved in navigating the mental health care system was cited as another. A lack of professionals who speak more than one language may also magnify the treatment problem: 66.5 percent of children in need who had English-proficient parents went without treatment, compared with 88.6 percent of children whose parents had limited English skills. Social stigma surrounding mental health care treatment may also be a factor, the study authors say. Because of the ties between physical health and mental health, identifying and treating a child should start with an exam by a physician and include a mental health screening. The resulting information should be shared among physicians, medical groups and mental health professionals, the authors recommend. But beyond identifying, treating and tracking the mental health care needs of an individual child, they say, professionals should also recognize that the child’s entire family might be at risk and require mental health outreach, translators and other types of assistance. 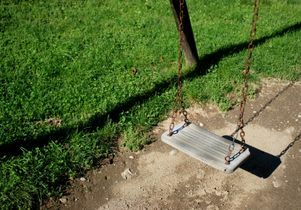 Various government agencies and service providers — including health care professionals, child development groups, schools, housing agencies and the juvenile justice system — need to combine forces to ensure healthy environments for children, the study concludes. “If you have a child in a healthy environment, that’s mental health prevention in itself,” said Padilla-Frausto. Read the policy brief: "Three of Four Children with Mental Health Needs in California Do Not Receive Treatment Despite Having Health Care Coverage." The brief was funded by the California Department of Mental Health, now the Mental Health Services Division of the California Department of Health Care Services.